Launched in 2017, Motee’s vision is to bring a new and exciting maids concept to independent bridal boutiques. Motee Maids allows brides to have creative input to ensure each of their maids has a gown perfectly suited to them. 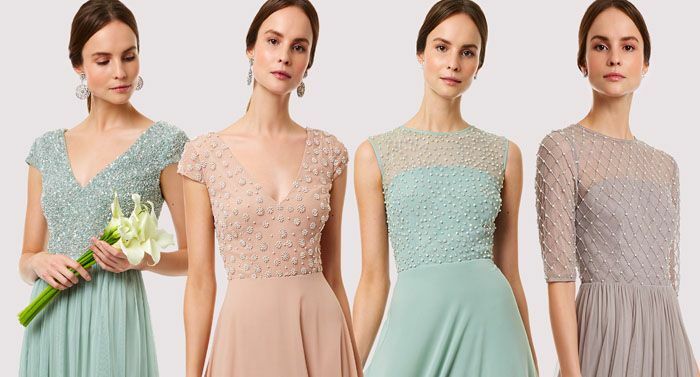 Born out of a passion for weddings, colour and hand embellishment, Motee Maids offer timeless and elegant gowns that bridal parties will love wearing. As if Motees stunning concept wasn’t Enough we share the top 5 reasons Ap are swooning over this designer. pick a skirt from 3 wonderful Silhouettes to pair your bodice. select your hand crafted bead work from 4 intricate patterns. explore Motee’s contemporary colour pallet and finalise your design. To assist the design process our stylist will offer exceptional service to you and your bridal party. AP will stock a full range of silhouettes and colours you to try on and a extensive swatch book to help you envisage your gowns. The Motee Sequin Sash collection is a range of relaxed unbeaded styles that have a flattering blouson at the waist, falling into our full georgette skirt. The sash can be worn any way you like, knotted at the waist, back, or tied trailing around your bouquet. Add Motee’s hand beaded sashes to your flower girl dresses to make everyone feel part of the tribe. In soft and romantic tulle they bow and drape beautifully at the back with just the right amount of sparkle. Pick from 10 colours and 4 beaded designs to match your maids gowns. 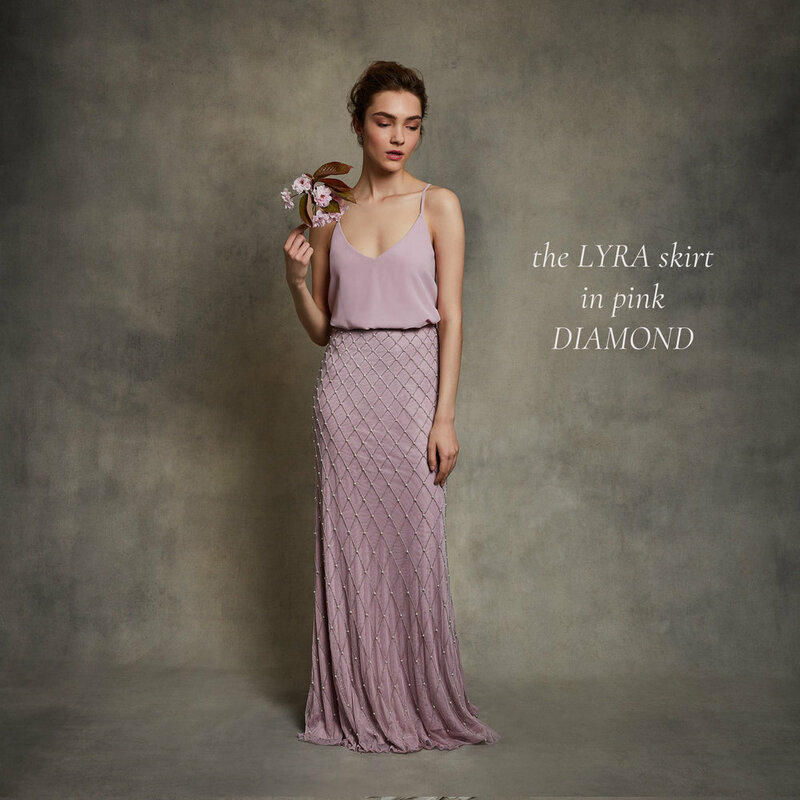 The Full Beaded Collection combines the Motee Original bodices with a flattering blouson and the soft flowing yet fitted Lyra skirt silhouette. These gowns are fully beaded on both the bodice and skirt with 1000s of beads and pearls. Designed to complement both modern and romantic brides, the Motee collection invites your maids to find their own style. Explore the variations available in the Anne Priscilla store, Prices start from just £180.